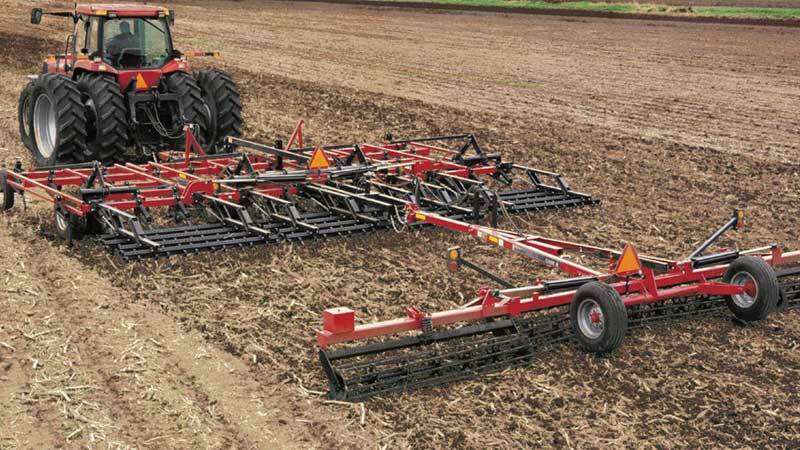 The Case IH Tiger-Mate 200 Field Cultivator and our seedbed conditioners provide a comprehensive seedbed prep system for earlier planting and maximum yield. The Tiger-Mate 200 provides uniform soil distribution for faster dry down, allowing you to plant earlier for an extended growing season with faster germination. Excellent soil tilth means proper pore and soil aggregate size and distribution in the seed zone, improved seed-to-soil contact, faster germination and more uniform crop emergence. Giving you a high Performance Construction, Positive mechanical depth control for uniform depth, walking tandems on the mainframe and each wing section and Stabilizing wheels on each wing section. The Tiger-Mate 200 incorporates nutrients evenly and reduces "hot spots" that can burn the roots of young seedlings.